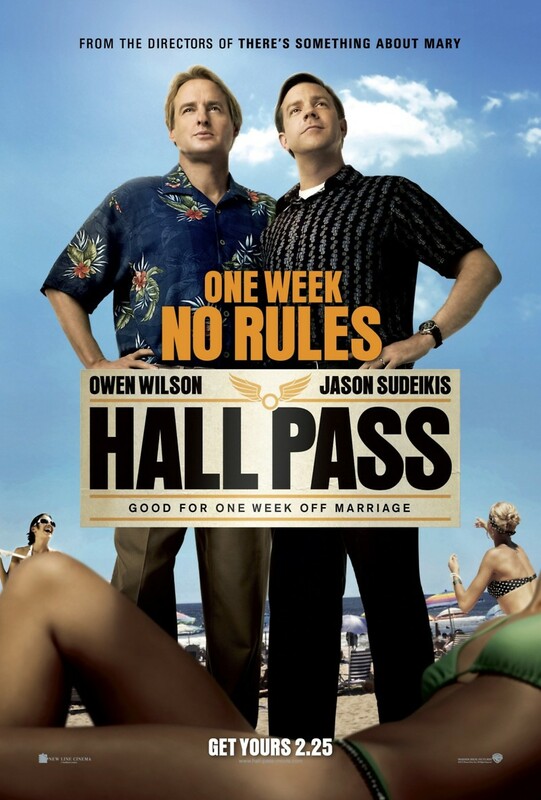 Hall Pass DVD and Blu-ray release date was set for June 14, 2011. Fred and Rick are both married, but their lives with their wives are not going so well. Both men have wandering eyes, and their wives are sick of it. Hoping that they will get their philandering thoughts out of their systems, they decide to give the men a hall pass that entitles them to a week of whatever misdeeds they may want to do. At first, the guys are thrilled with the prospect, but they discover that picking up chicks takes a lot of work, and with the week almost up, they have not had much success. Meanwhile, their wives are enjoying some shenanigans of their own, and the men are none too happy about it now that the shoe is on the other foot.